Pao Lebrón is a Diasporic BoriCuir food maker and grower who uses art as a tool for organizing and remembering inter-generational knowledge. They were born in Puerto Rico (PR) and have deep familial and cultural roots in New York City (NYC). Pao believes in movements that re-conceptualize power and power relationships while centering a creative process. They are a multidisciplinary cultural organizer pursuing a path to decolonize themselves by growing food, making medicine and earth stewardship. They have organized around Queer and Trans issues by integrating art and using identity and tradition to provide a cultural dimension to community organizing. How do you organize Queer/Trans solidarity work that becomes more than just short-term relief after a crisis? Learn about the history of food preservation contextualized through resistance and survival, and how Cuir Kitchen Brigade organized a food solidarity project to support Borikén after hurricane Maria. 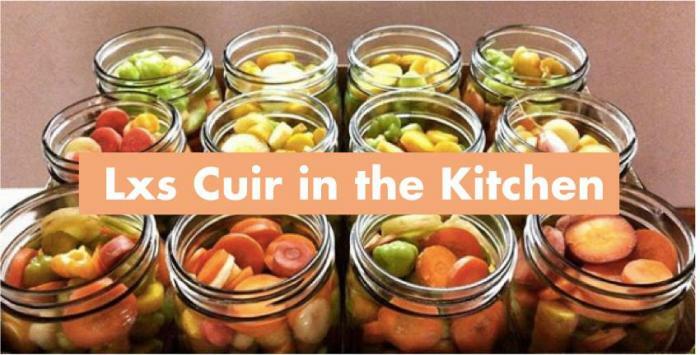 Come learn how to pickle and ferment through our hands-on workshop and how to start a group like #cuirkitchenbrigade to support places on the front lines of climate and political injustice. To sterilize jars for canning, preheat your oven to 225 degrees Fahrenheit. Place your jars and lids in a roasting pan and slide them into the oven for at least 20 minutes. Sliding Scale: $5-20, please contact studio24.galeria@gmail.com to RSVP with a header "Lxs Cuir in the Kitchen RSVP." Participants are strongly encouraged to bring their own sterilized jars. Instructions on sterilizing jars is below. Thank you!